What is it with obsessing over the learning time lost due to toilet breaks? Either these breaks are legitimate in which case it is our duty to ensure that our students have access to the toilet, or it is an excuse the child makes in order to get out of the classroom. If it is the latter, the teacher should see it not as an abuse of trust, but rather as constructive feedback. The child is clearly telling the teacher that the lesson is boring. Teachers that successfully engage their students don’t have an issue with needless toilet interruptions. 1. Teachers should not play games about something as serious as a child needing to go to the toilet. 2. Children should never be made to feel guilty for frequent trips to the bathroom. 3. Surely there are bigger fish to fry than time wasted on toilet breaks. 4. How would teachers like it if they were charged for toilet breaks during staff meetings? 5. Schools share too many similarities to prisons as it is, yet you don’t hear of prisoners having to give up privileges in order to go to the toilet. 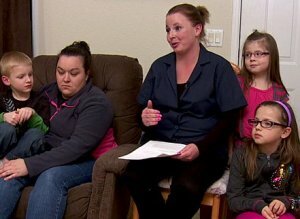 Melissa Dalebout, the mother of first-grader Lily, told local news outlet KATU that her daughter had an accident recently at Cascades Elementary School because she didn’t want to use her “Super Pro” bucks to go the bathroom. The bucks were a form of fake money that children at the Lebanon, Ore., school earned for good behavior. Bucks that weren’t spent on bathroom breaks were redeemable for toys at the school store. “I just feel my children should not be punished for having to use the bathroom,” Dalebout told KATU. Mommyish blogger Maria Guido wondered if this type of policy might send the wrong message to kids. Cascades Principal Tami Volz told KATU that the Super Pro payment plan, as well as strategies where excessive bathroom users lost part of their recess time, were imperative for classroom management.